Don’t have a friend who is a farmer? You do at Cultivate Kansas City’s annual Farmers & Friends meeting from 9 a.m. to 3 p.m. Saturday at the Second Presbyterian Church (318 E. 55th St.). The day kicks off with a potluck pie breakfast (there is also a potluck lunch) and continues with workshops on growing, urban forestry, building a farm-to-table restaurant and goat farming. The Souper Bowl of Caring is Saturday. It’s a chance to volunteer at Harvester’s (3801 Topping Ave.) — the regional charity combating hunger in the metro area — between 8:30 and 10:30 a.m. Afterward, there will be a bowl of soup for lunch. Those interested are asked to bring food donations and RSVP online before the event. Your drawing career didn’t have to end with a bowl of fruit. Urban Sketchers Kansas City hosts a group drawing session at Parlor (1707 Locust St.), the food hall in the Crossroads, from 11 a.m. to 1 p.m. Bring your sketchbook and get lunch. Crazy Crab (3756 Broadway Blvd.) has opened in the former Chubby’s space. The seafood restaurant is a smash up of fried goods (hushpuppies, oysters, chicken tenders or fried rice) and plates of mussels, crab legs, shrimp and crawfish. You can douse your clams in cajun spice, lemon or garlic butter, and pick a heat level from mild to extra hot. Baramee Thai Bistro (1810 Baltimore Ave.) opened last week in the former Pizzabella spot in the Crossroads. You can start with crab rangoon, crispy tofu or spring rolls, and then have papaya salad, panang curry or pad thai. In winter, tom kha soup (made with coconut milk, lemongrass and chiles) and pad kee maw (spicy flat noodles with chilé, jalapeño, green beans and green peppers) will warm you up. Baramee is the second restaurant for Doug and Nunitsa Hoffman, who also run Mali Thai Bistro in Lee’s Summit, Missouri. There are a few closings to note. Room 39 will shutter its Mission Farms location on Sunday, Feb. 10, as chef and owner Ted Habige focuses on the 39th Street location and Brewery Emperial. Shaka Noodle Shack (414 Armour Road, North Kansas City, Missouri), the noodle shop from the team behind Longboards, closed Monday. Hang 10 Pier, the smoothie shop in an adjoining space, closed at the end of December. You know what makes a playlist good? Beer. The Hanger (1701 Oak St.), an arts collective and co-working space, is hosting a live performance by The Phantastics and serving beer from Crane Brewing Co. from 9 p.m. to midnight Saturday. The city’s smallest brewery celebrates its seventh anniversary on Saturday. 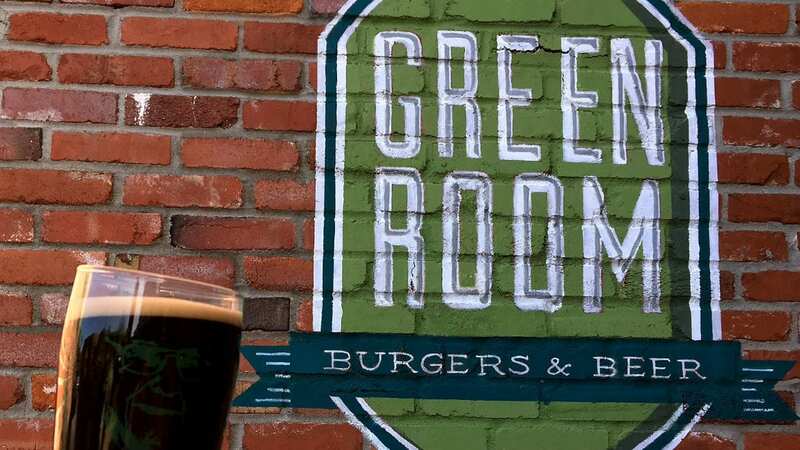 Green Room Burgers & Beer (4010 Pennsylvania Ave., Suite D) will celebrate from 5 p.m. to 1 a.m. with a collaboration beer. Noble Steed, a Belgian-style dark strong ale that has been aged in a Union Horse rye whiskey barrel for six months, pairs well with a brisket sandwich. Green Room will also have a pair of small barrels filled with cinnamon stick brown ale and a double dry-hopped red IPA. Whether you’re protesting the Super Bowl or simply looking for something else to do, McFadden’s (1330 Grand Blvd.) has a worthy alternative. The sports bar in the Power & Light District is showing the Puppy Bowl (as well as the Super Bowl) with appetizer and drink specials starting at 2 p.m. Sunday.